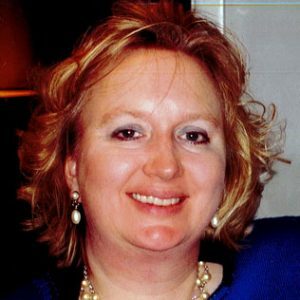 The Danish Home Foundation is excited to announce that Linda Steffensen of Hoffman Estates, Illinois, has joined The Danish Home Foundation staff as its new development manager. Linda’s connections to The Danish Home of Chicago and the national Danish-American community run deep. “I remember coming to The Danish Home as a young girl and folk dancing on The Danish Home patio with the Danish American Athletic Club,” said Linda, who served on The Danish Home of Chicago’s parent board, The Danish Association, for many years and continues her service on the Women’s Auxiliary board of directors. In addition, the Roosevelt University alumna with a master’s degree in marketing communications is a longtime member of no less than eight prominent Danish-American organizations and currently serves as secretary for some of them. Linda has extended family in Denmark and has visited her homeland more than 25 times. She and her family are longtime supporters of The Danish Home. As the new development manager for The Danish Home Foundation, Linda is working with The Danish Home of Chicago staff, board, volunteers and community members to raise $10.5 million in a new capital campaign in support of a building expansion and physical improvements to the home. The campaign also seeks to increase The Danish Home Foundation’s charitable care fund for residents who have exhausted their financial resources. The Danish Home Foundation’s capital campaign appeal is now open to local, national and international donors, with great appreciation of gifts, pledges or bequests in any amount. Gifts to The Danish Home Foundation’s “Our Future in Focus” capital campaign can be made by visiting www.danishhomeofchicago.org or by calling 773-775-7383.